From a couple of posts ago. Here is the Barbour Film on googtube. Thanks. I searched for that the other day on 'tube, went through several pages and all I could find was some short excerpts from the whole thing. "JEWISH"....especially Abraham, Isaac & Jacob...all the way to Nehemiah. . . . NO "JEWS" !!! and can LEAVE the stool sculpture deity cult compound by simply knowing the truth. from the mouths of babes...could they be cheerleaders ? The names of Presidents Woodrow Wilson, Franklin D. Roosevelt, Harry S. Truman, Dwight D. Eisenhower, John F. Kennedy, Lyndon B. Johnson and Richard M. Nixon will certainly be found one day inscribed in big red letters in the official annals of the rise and fall of the United states. These seven masters of deception incurred their guilt by debasing their solemn oaths of office on behalf of undisclosed domestic and foreign principals without any apparent qualms or misgivings, to enhance their political fortunes totally oblivious of the threat to United States security and survival. Very early in their political careers, these seven masters of deception by their determination acquired their proficient skill in detecting on which side their political bread was buttered. Their remarkable perfection in that skill provides the answer to why these seven masters of deception went so far and so fast in so few years in the political world in which they moved. Talmudists in the United States were able to camouflage their illegal aggression in the Middle East behind the glamour of President Eisenhower's record as a great soldier. The story of how President John F. Kennedy lied the United States into the desperate predicament in which the United States today finds itself in the Middle East is very distressing. President Kennedy surrendered to the lure of Talmudists who pledged to put him in the White House as the president of the United States. On August 23 1960, in the United States Senate office building in Washington President Kennedy, at that time a senator, gave this author a copy of the address he was to deliver in New York City on August 25, 1960. President (Senator) Kennedy was giving Talmudists his pledge that as the president of the United States he would send sons, husbands and brothers of the grass roots population of the United States to fight in Palestine under the flag of the United States in a war in Palestine to help crooks hold onto stolen loot, to aid and abet thieves retain possession of their stolen plunder. Despite his promises to the tribe, it didn't help him. Freedman would have had a field day with all the rest since Nixon too. Kenny thanks for all your recent posts on the JFK murder I actually learned a few new things. I was 9 fifty years ago and by junior high I sensed something was not quite right, that feeling grew as the years passed and at some point I promised myself that "going to Dallas" was a priority. Eventually I was able to fulfill my wish and I was absolutely shocked at how small Dealy plaza actually is. After my tour I was invigorated to read and figure out as much as possible so every time a new book would come out I would devour them with a passion. After every book I would go aha so thats what happened and never realizing I was chasing my tail. Then I got the inter webs and found JFK Lancer and I read every issue and every article but I was not smart enough to save them all. There were a handful of other sites that I read their entire content. The only thing I am sure of now is Oswald never fired a shot that day and the media will never report that the name "Jack Ruby" is an alias, funny how every other alias of any suspect their real name is given. The best set of videos I have seen to date is the men who killed Kennedy. http://12160.info/forum/topics/the-men-who-killed-kennedy-the-coup-d-etat?xg_source=activity But there never seems to be a link in anything I have ever read to our favorite group, they will name everyone BUT the tribe. I now have to read Final Judgement I just have not gotten around to doing it, hopefully it will be my final "AHA". Final Judgement may not be the final 'aha' for you but you will most likely find it interesting. I've bookmarked your link. 6 hours of video! I need another lifetime. A detailed and comprehensive examination of the shooting, concluding that there was a government conspiracy to kill John Lennon. Huffman and Perrin had a daughter, Ruth Ament Huffman, who married Joseph Baines and together they had a daughter, Rebekah Baines, Lyndon Johnson’s mother. The line of Jewish mothers can be traced back three generations in Lyndon Johnson’s family tree. There is little doubt that he was Jewish. Who killed Kennedy: CIA, LBJ, or the Truly “Unspeakable”? Who killed Kennedy? Watch Synagogue of Satan by Andrew Carrington. 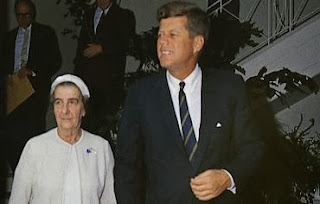 The Rothschilds and Rothschild Zionist killed Kennedy because he was going to take the power away from the Federal Reserve by making the government print and back money.